Complete with a triple-butted aluminum frame, the Alma 29” H20 is a mean trail ripping machine. The Rockshox Reba RL fork will guide you effortlessly over obstacles, while the Mach1 wheelset is tubeless ready to carry a super low rotating weight. The Shimano SLX/XT group gives you relaible shifting and gearing combinations to get through any terrain while Shimano’s hydraulic disc brakes give you optimal stopping control. 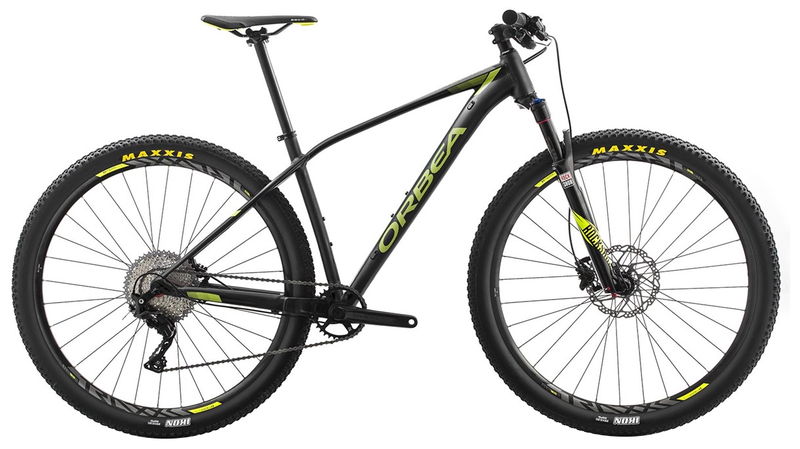 Orbea’s wide handlebar and low stem make handling a breeze, and the Selle Royal saddle keeps you comfortable for hours on end. 155-170 cm 5'5" - 5'10"
165-180 cm 5'9" - 6'3"
178-190 cm 6'1" - 6'6"